…you don’t stop teaching just because you don’t get involved during the moment of conflict. 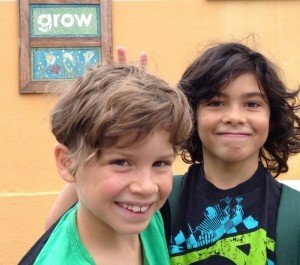 Here’s Part Two of the 3 part Sibling Series: More Good, Less Ugly: Everything you Need to Know to Foster Healthy Sibling Relationships. In case you missed it, you can check out Part One here. A month ago, after a parent education talk (ironically, NOT about sibling issues), parents came up to me afterwards wanting to ask specific what do I do when questions. This night each parent had a sibling challenge that deeply distressed them — and they wanted advice on how to work them out — how to FIX them. After each told me their story of fists, tears, tussles and injustices, I asked, sincerely, so you want this to stop because ________? It sounds like a joke but I was serious. I’m afraid my children will seriously hurt each other — (it won’t happen if your kids have some skills — it makes sense to focus on teaching these skills). I was mistreated and abused by my siblings and my parents did nothing (if you’re reading this post, or trying to understand the issues, you’re not doing nothing. You’re learning how to respond rather than react). It’s important for you to get to the bottom of your frantic need to end sibling fights. When you feel desperate, your children tune into your urgency and — baBOOM! — their fights gain greater importance and power. Your children are wired to get your attention (think survival) and this sibling stuff is just the ticket. What’ll happen next? They’ll be flabbergasted that you haven’t jumped in to fix or solve. Jane Nelsen says surprise leads to confusion. When a child is confused because she doesn’t get the reaction she’s used to, she’s ready to consider a new behavior. If the surprise results from a respectful interaction, her confusion will include a feeling of belonging and encouragement, so her new behavior is likely to be positive. If the surprise is a result of disrespect, then her previous misbehavior is likely to intensify. I wanted to tell you my success story from this morning. I feel like one of the examples from the book (Siblings without Rivalry), I was so surprised at its effectiveness! This morning my 5.5yo son Eden left his favorite transformer toys on the floor, and his 1.5yo sister Lulu ran to them and started playing. He saw that, ran over, and pushed her backwards so her head banged the floor (she’s had worse bumps, but it was still rough and it hurt her). I walked away as Lulu whimpered a few times, just sitting next to her brother, probably unsure why I hadn’t defended her better. Only 5 to 10 seconds after I walked away, Eden said, “Hey Louie, do you want another one?! I’ll get you one!” and jumped up to get her the one transformer he wasn’t playing with. He gave it to her, she happily accepted, and she scooted away a few inches to play with it in her own space. I COULDN’T BELIEVE IT! It was exactly like the book and you said it would happen! Even though it worked so well, I admit I felt a bit guilty about seemingly abandoning Louie to her big brother in a moment of distress. But I get that their relationship benefitted from his problem-solving so much more than if I had stepped in. Based on the book, if we can be consistent with this kind of conflict resolution, soon both kids will not feel this as abandonment, but as empowerment instead. you don’t stop teaching your kids just because you don’t get involved in the moment of conflict. Rachel admits the guilt she felt in trying a new behavior — I think many of us don’t try new tools and responses, even though they may be more effective in the long run, because of the dreaded parent guilt – what’ll happen if it doesn’t work?. There may be times when you want to step in — how do you do that without fixing? So often when you plunge into a sibling fight, you think you know what’s going on. This week, pretend you don’t and put the kids in the same boat. Do your best to stay out of their business (or consult from the sidelines), and see what happens. If you’re not already on the list, sign up to receive Part 3 of the Sibling Series: From Squabbles to Sharing: Proven Strategies to Improve Sibling Relationships by email. Could not agree more with how powerful it is to disengage with the sibling squabbles. By the way, it’s still as true with kids at ages 11 and 13 as it is when they are 5 and 2…thanks, Lisa! Last night on the phone with each other my boys (15 & 19) were reminiscing (while laughing hysterically) about the fights they had when they were little… one wouldn’t turn off his reading light as it shine in the others face, one slammed the others head into the bathroom door, etc. Strangely heartwarming for me to hear! Thanks, Lisa, for this post. My six-year-old twins have been squabbling a lot lately, and this is a good reminder of how best to go about dealing with it. Wow! Think this will work with my 12 month old and 2 1/2 year old? I think I’ll have to give it a go. I’m fed up of telling my eldest to stop hitting/kicking/pushing her little sister. What do you do when one of them actually does get hurt? As often happens with my unstable, trying to climb before she can walk 1 yo! Rachel I hear you and I have some thoughts about how you could proceed. Because your children are both still so young they’re not ready to problem solve on their own… however, when you first see or hear the squabbling approach them as one, “Hey sweeties I hear some trouble – let’s read a book together” and scoop them up to sit on either side of you. Responding in a way where neither feels the bully or the victim is incredibly powerful but don’t take my word for it, give it a try. Your oldest will behave better when she feels better so another idea when stuff is going down is to approach her with “Oh it looks really hard right now — do you have ideas to make it better?” Suggest a different toy or some other change of environment. Now to your question – when one of them gets hurt – have the other help to comfort – “what can you do to help sissy feel better? How about some ice or a cool cloth?” When they’re involved in the solutions they feel important and powerful… in the best sense of the word. You’re in the trenches Rachel – it’s not easy – thanks for contributing to the conversation here! Thank you! I really needed to read this today! My children are 9 and 7 and have never been at such odds.